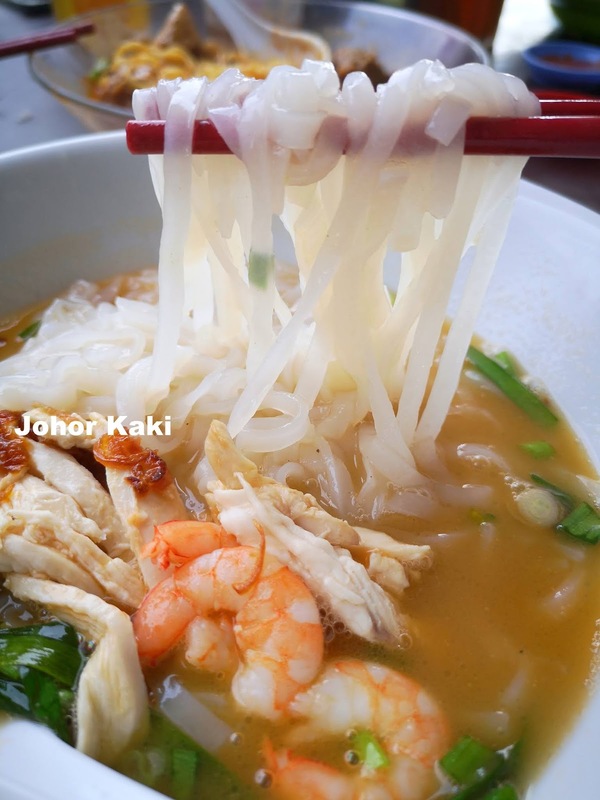 Coming to Ipoh, one of the Must Try dishes is 怡保鸡丝河粉 Ipoh Shredded Chicken Hor Fun. (Kai see hor fun in Cantonese.) 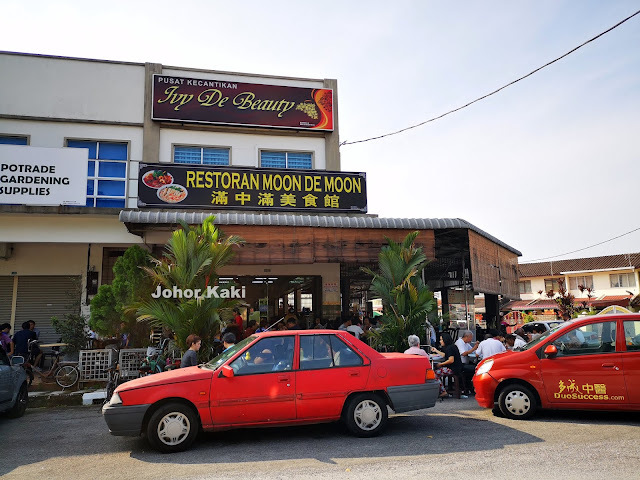 During my recent trip to Ipoh, every local we asked pointed us to Moon De Moon in Kampung Simee, which is a residential district (about 10 minutes off the North South Expressway). There were 5 or 6 different food stalls here but most people were here for the Ipoh shredded chicken hor fun. 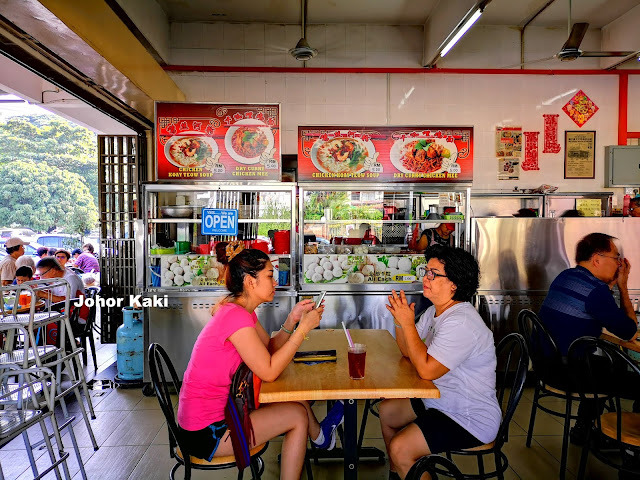 This stall is the reigning favourite of Ipoh townsfolk now for this iconic dish, which is no mean feat as there are hundreds of shredded chicken hor fun stalls in Ipoh. For RM5, we get a small mound of slender hor fun flooded with a orangey hue stock and topped with small shelled prawns, small pieces of poached chicken, fried shallots and chopped scallion. 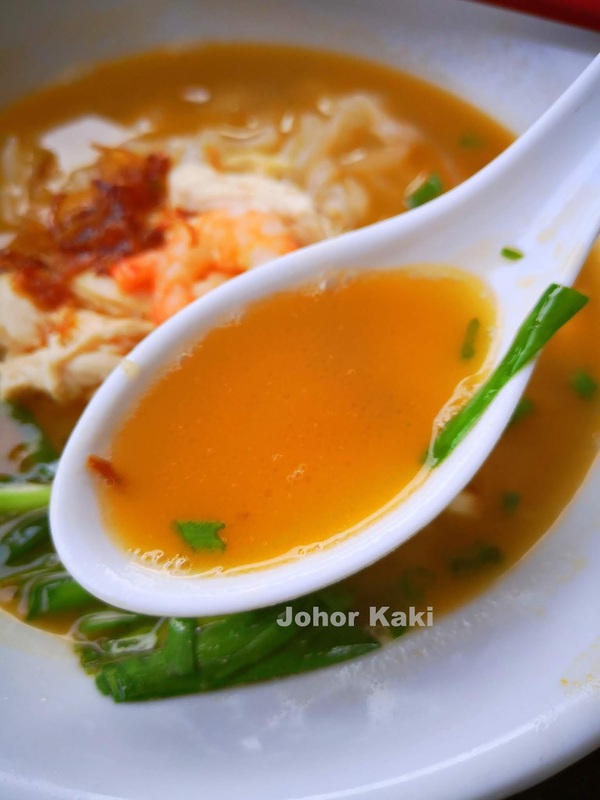 The striking thing about Moon De Moon's shredded chicken hor fun was the orangey stock. 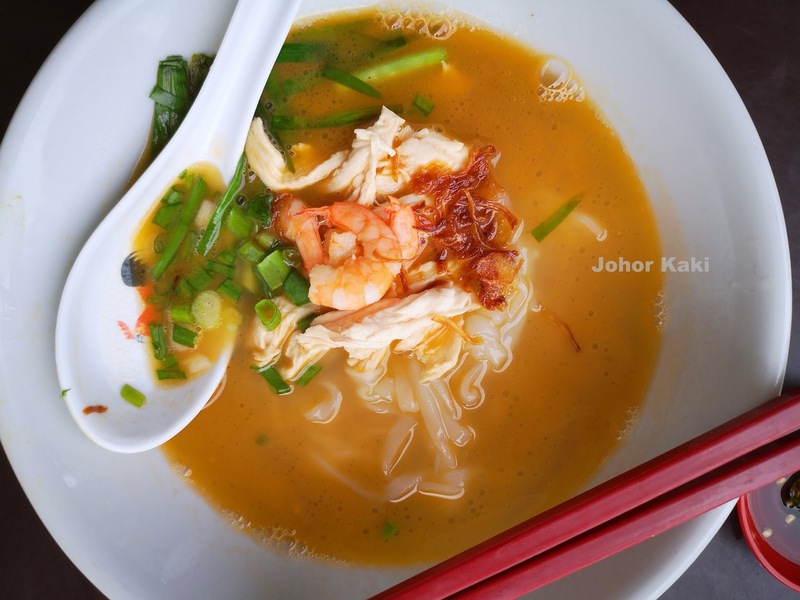 It was a blend of chicken and prawn stock. It had a smooth, full body. 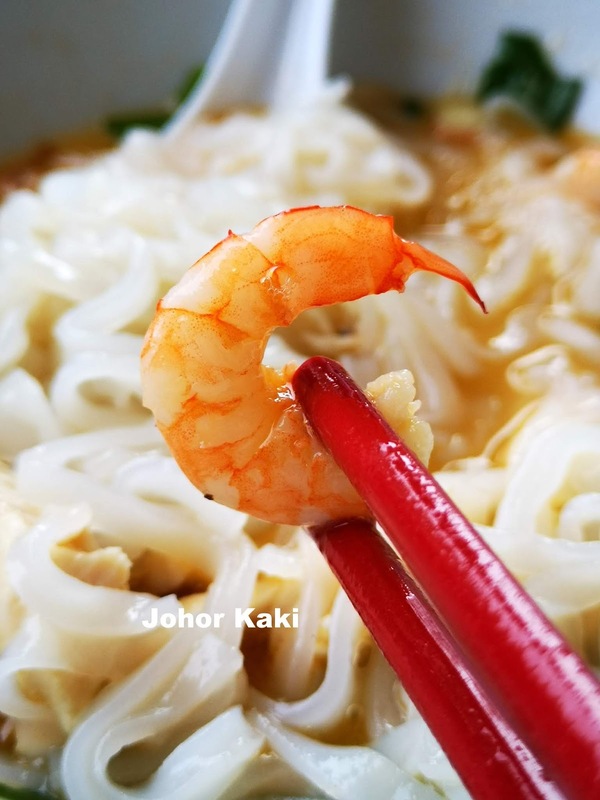 The savoury sweet flavour was moderately robust with a blend of crustacean savouriness and fresh chicken sweetness. It's a big winner with the crowd, and with me too. 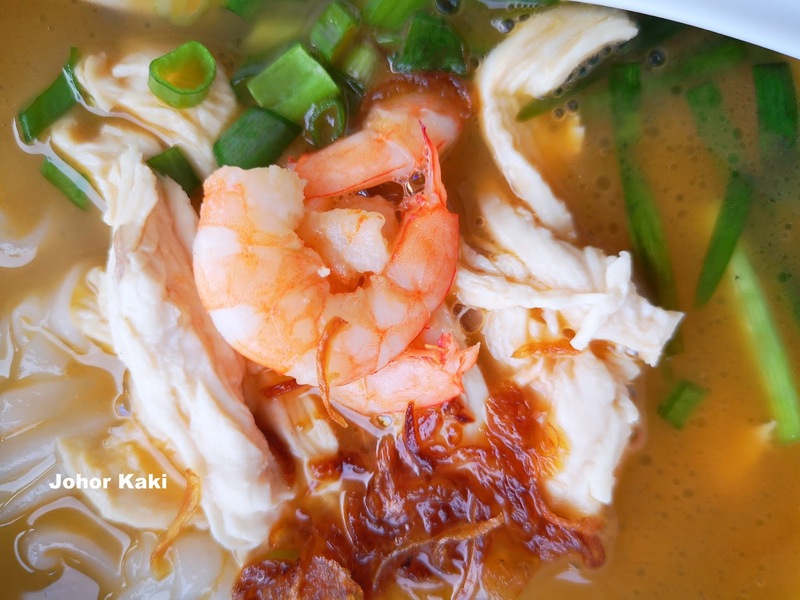 The shelled small prawns and small pieces of poached chicken were good - very fresh but it was the stock that got all my attention. The hor fun rice noodles were generic but done to a nice smooth softness. 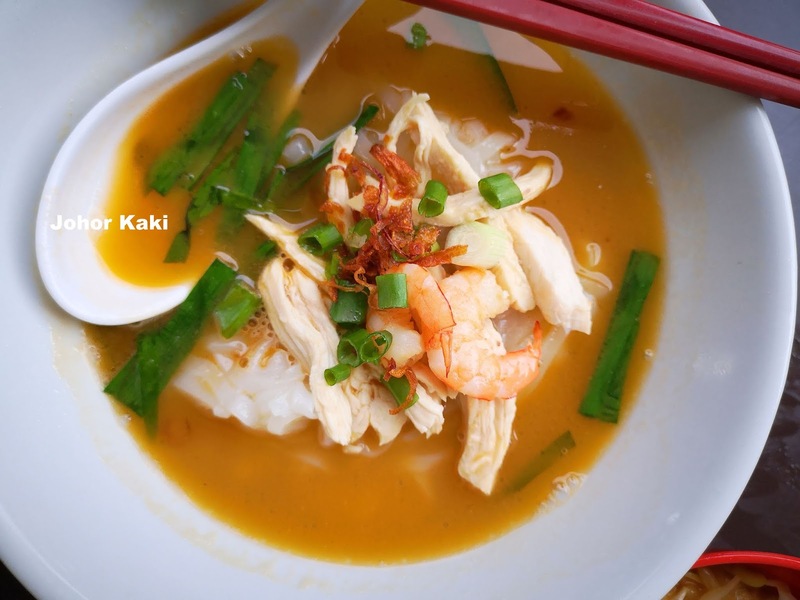 After the excellent chicken-prawn broth, everything else in the bowl seemed to be obligatory - they were there just to complete the dish. Moon De Moon's dry curry chicken is popular too. I just took a sip of the curry as I was saving my stomach space for a lunch appointment. The curry was quite a complex blend of spices and just mildly spicy hot. Moon De Moon also serves soupy curry mee and Foochow style fish balls which are stuffed with minced pork. Missed these this time, so shall try them next time. 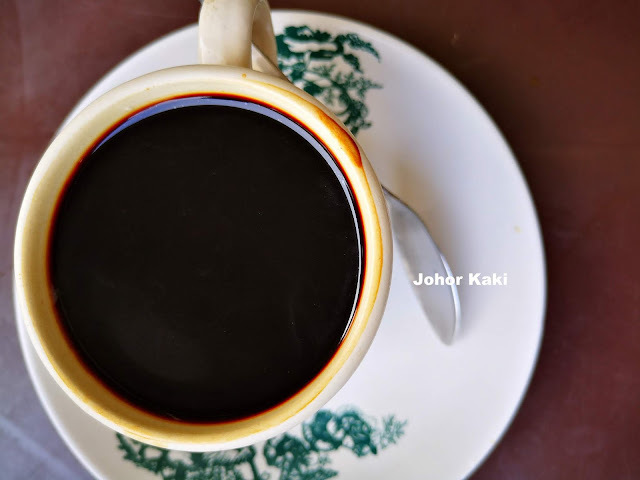 My kopi O siew tai or coffee black with less sugar (they call it kopi O siew tim in Cantonese). I like this coffee as it has a nice round body and the slight bitterness was well balanced with sweet sugar. 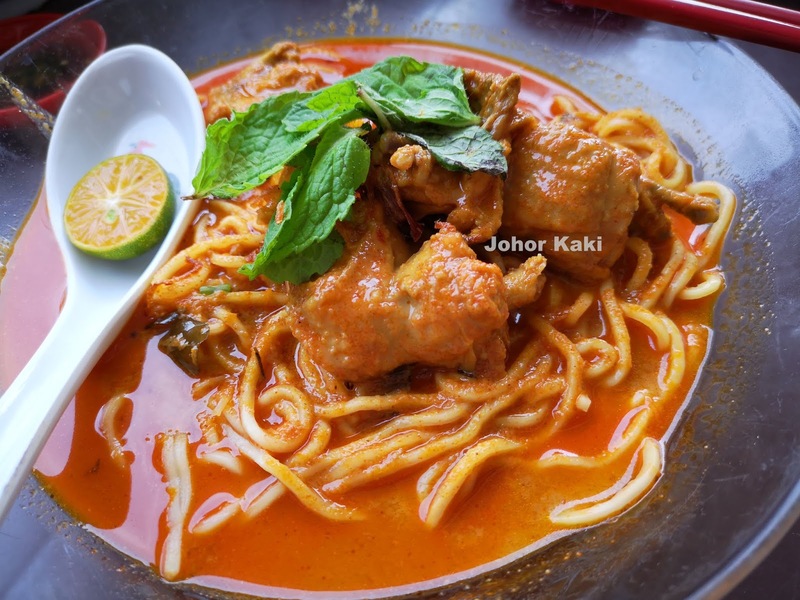 👉 Moon De Moon have conquered the taste buds of many Ipoh folks. If you are visiting Ipoh or passing by the North South Expressway near Ipoh, do check out Moon De Moon's kai see hor fun, if you like to try one of the best renditions of Ipoh's iconic dish. Thank you. 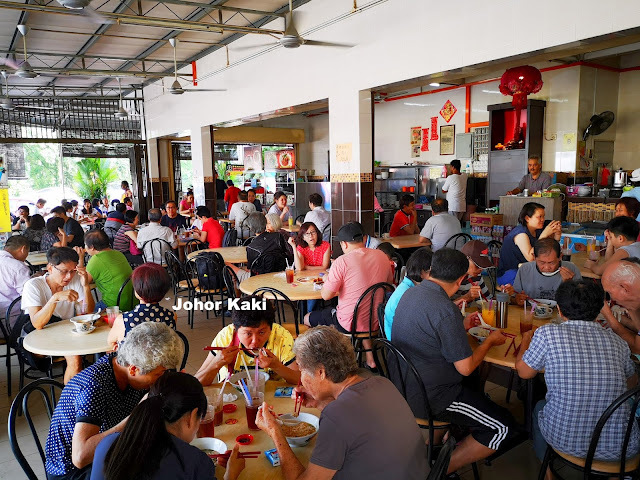 I love to visit Hong Kee and Choy Kee next time. Went to Cowan Street and also his relative shop but both were closed. Yes my reference is James of Motormouth of Ipoh. Sad that he is no longer blogging.